Sky Manor Aero Estates is an aircraft owners community located in the heart of Minnesota's premier lakes region near Park Rapids, Minnesota. 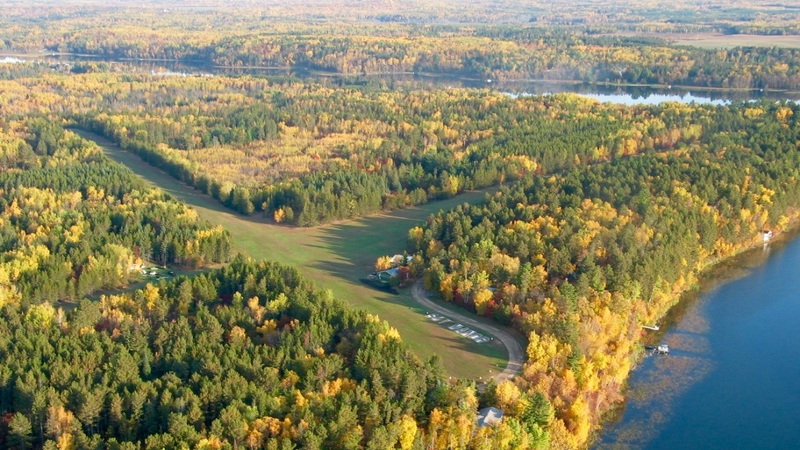 Considered by many to be Minnesota's most-beautiful airpark, Sky Manor (MN86) is surrouned by pine forests and positioned on the western banks of Island Lake, part of the Fish Hook chain of lakes, and is conveniently located just nine miles north of the full-service, regional airport in Park Rapids (PKD/KPKD). 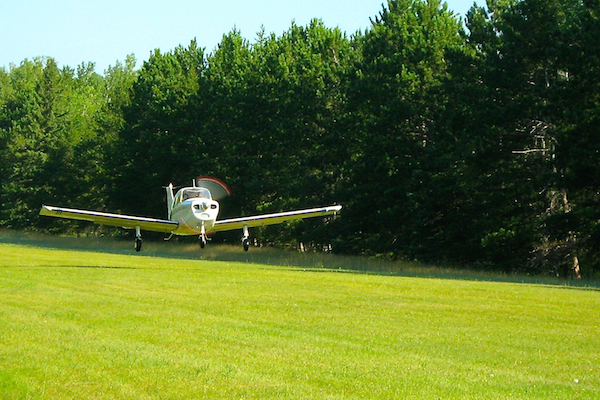 Our private airstrip is licensed by the State of Minnesota Department of Transportation as a Private Airport. 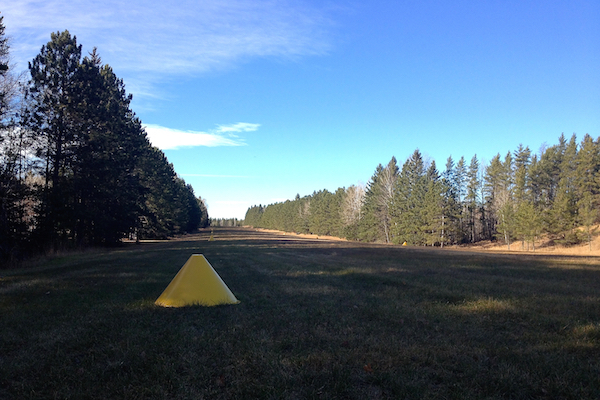 Sky Manor includes a 3200' turf (grass strip) runway plus a 1900' taxiway that is suitable for crosswind landings. 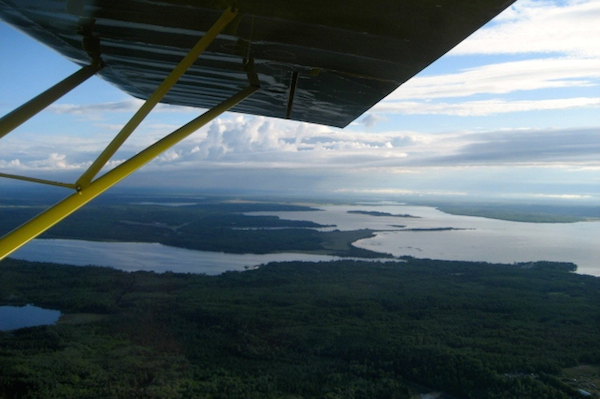 Sky Manor's immediate proximity to Island Lake also allows for use of float planes and amphibian aircraft. 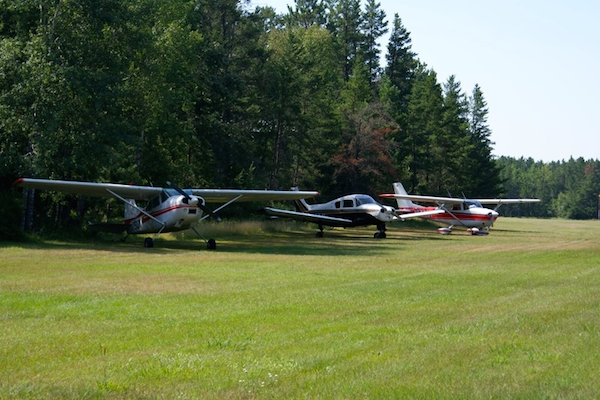 The airstrip is available to residents and guests, and is maintained by the Sky Manor Aero Club through a modest annual fee of $200. Property owners are guaranteed access to airport facilities via deeded easement and by virtue of a 99-year renewable lease owned by the Sky Manor Aero Club. 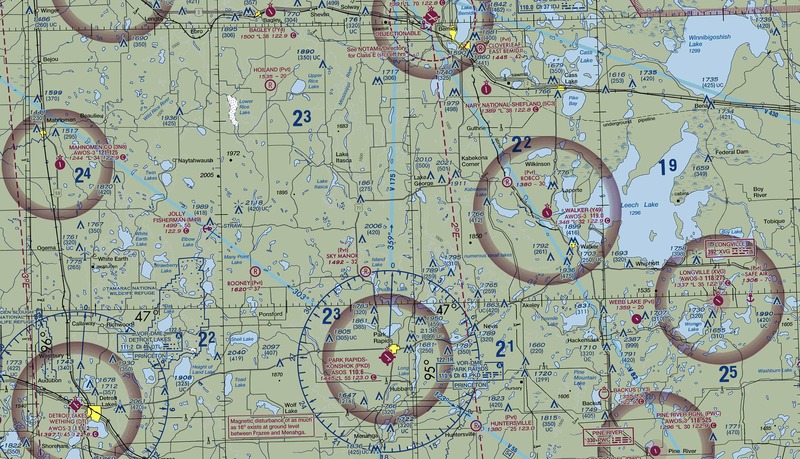 With immediate access to US Highway 71 near Park Rapids, Mn, Sky Manor Aero Estates MN86 is conveniently located just minutes from Park Rapids, Dorset, and Nevis, and a short drive to Bemidji, Detroit Lakes, and Walker. This area offers over 200 lakes within 20 miles. Although the Park Rapids area has a quaint, small-town feel, the Lakes Region population draws nearly 30,000 people, and provides the strong economic base to make this area lively all year long. See below for area links and details. 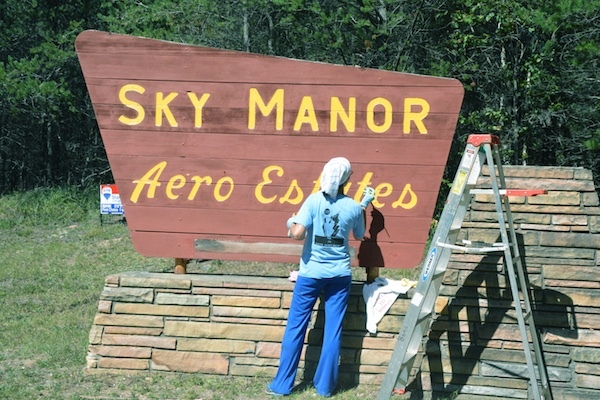 Sky Manor MN86 is maintained by the Sky Manor Aero Club through a modest annual fee of $200. Property owners are guaranteed access to airport facilities via deeded easement and by virtue of a 99-year renewable lease owned by the Sky Manor Aero Club. The Aero Club maintains Sky Manor to the best of our abilities, but it is the pilot's responsibility to brief him/herself on the latest field conditions and airport information. 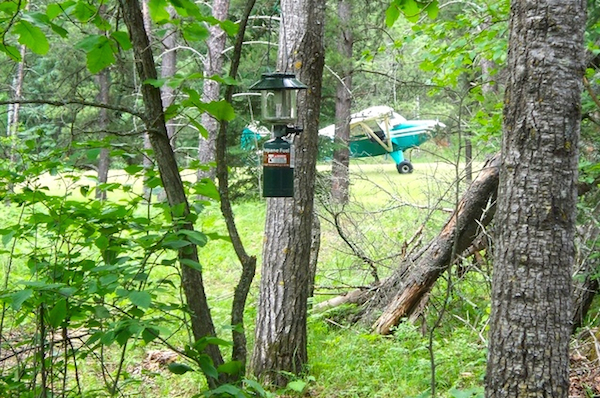 Pilots operating at Sky Manor MN86 do so at their own risk. 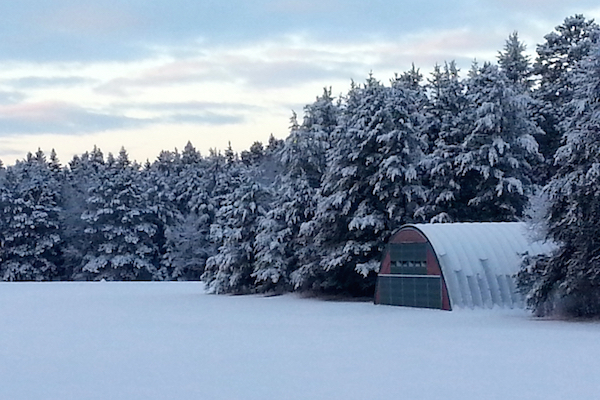 Turf mowed to 3-4 inches. Click here to update FICONs. Prohibits drone use within five miles of airports without prior permission of the airport authority. 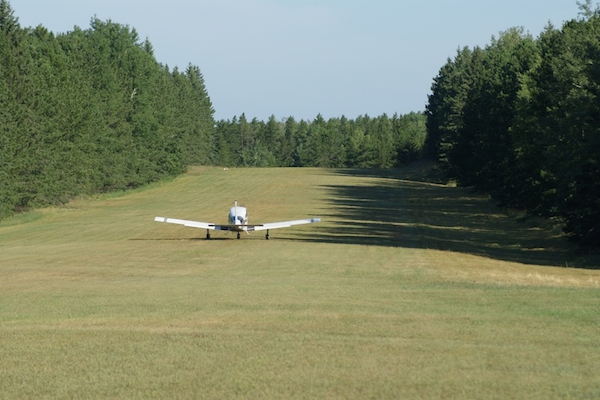 Sections 604A.20 - 604A.27 of the Minnesota Recreational Use Statute provide liability protections to private airstrip owners. An owner who gives written or oral permission for the use of land for recreational purposes without charge does not by that action: (1) extend any assurance that the land is safe for any purpose; (2) confer upon the person the legal status of an invitee or licensee to whom a duty of care is owed; or (3) assume responsibility for or incur liability for any injury to the person or property caused by an act or omission of the person. There are few residential airparks in the country that offer more natural beauty and peace than Sky Manor. 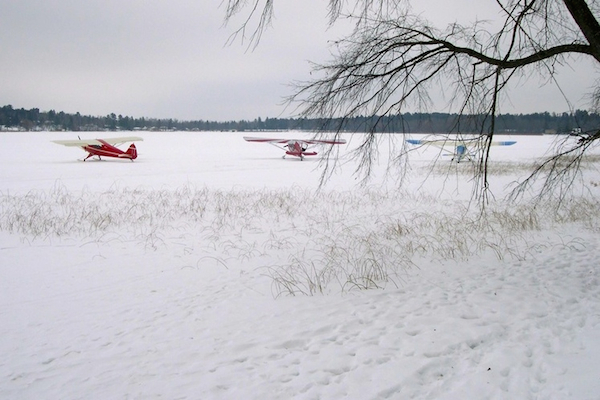 We enjoy our free time working in the hangar, planning that next projet around the yard, spending time on the lake, looking forward to the next fly-in, exploring the Park Rapids lakes area, and appreciating the Minnesota weather and wildlife. 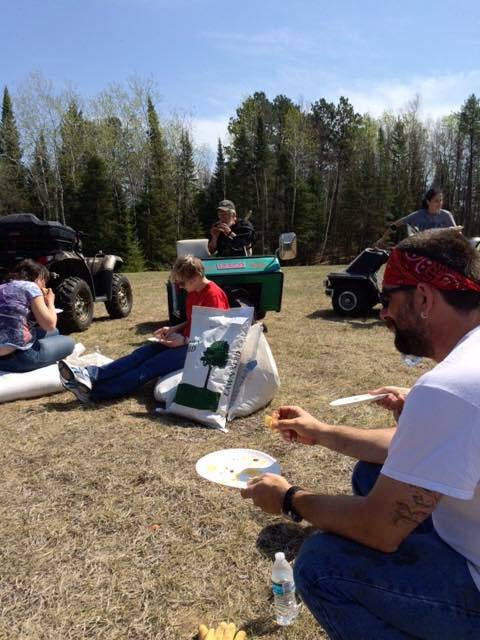 Life on a private airstrip in northern Minnesota is really unique! Our friend and neighbor Cliff Peterson lived at Sky Manor Aero Estates for over 30 years with his wife Marian. Originally from St. Paul and a 1948 graduate of University of Minnesota, Cliff enjoyed a 32-year career in 3M's Treasury and Engineering Division. Having purchased a Sky Manor lake lot in 1974, Cliff was instrumental in our history by serving as safety officer and treasurer for many years. 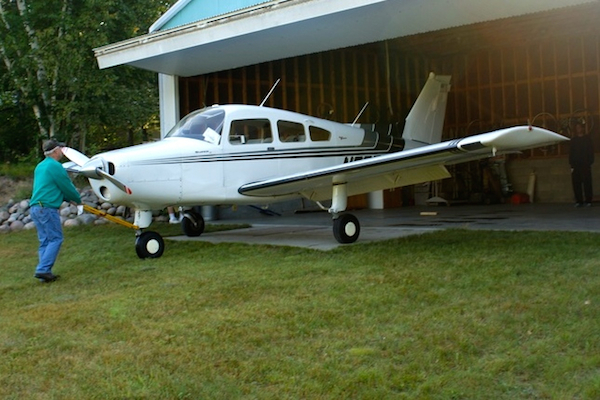 After retirement, Cliff built his own RV-6 airplane, which he flew frequently at Sky Manor until he was 92. 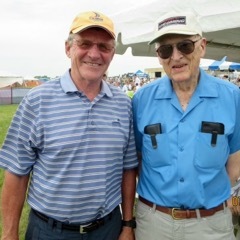 Pictured with with the former Blue Angels commander, Cliff was honored at the 2015 Fargo Airshow as the oldest flying pilot in MN. 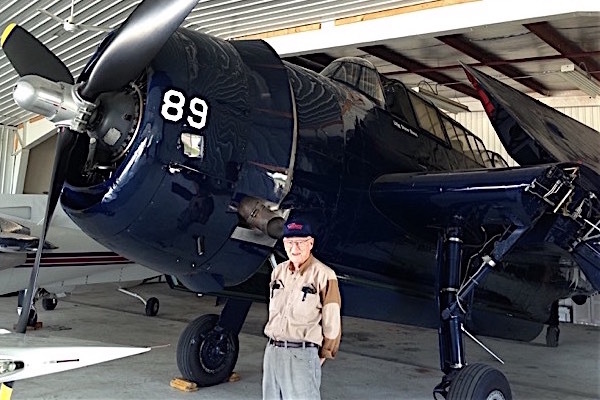 We honor Cliff for his service to our country during WWII from 1942-1945, when he performed submarine patrol on a Hawaii-based aircraft carrier and flew TMB Avengers in the Philippines. Click here to send in photos and information. 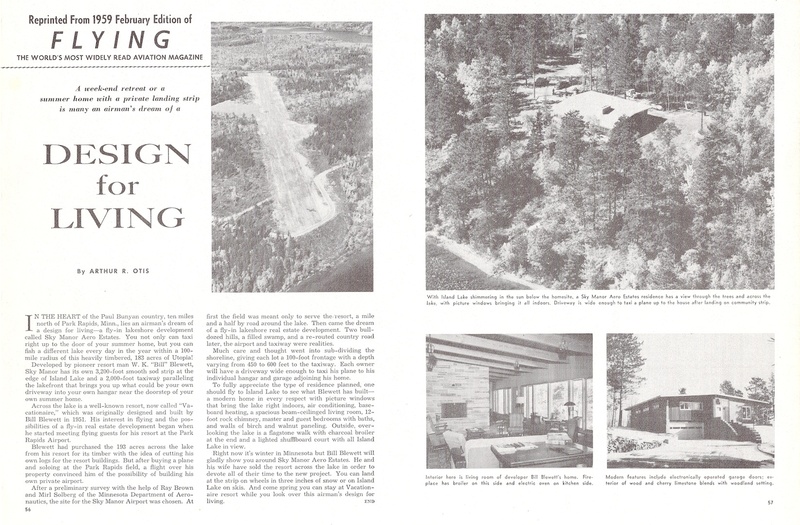 William K. "Bill" Blewett's "New Design for Living"
Sky Manor Aero Estateswas developed in the early 1950's by William K. "Bill" Blewett,a long-time veteran of the Park Rapids area and former owner of the "Vacationaire" resort on Island Lake. 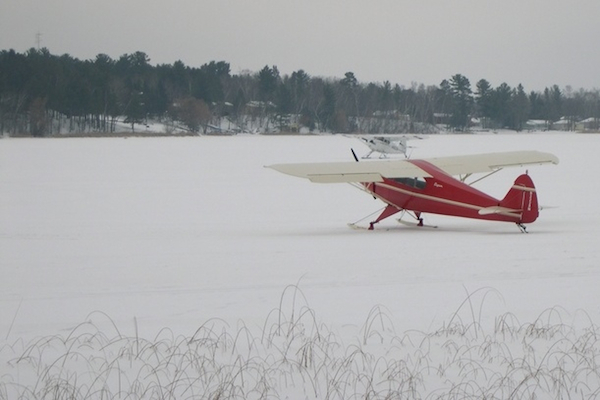 Being a licensed pilot himself, Bill enjoyed flying around the north country and visiting with friends and guests from all over the United States. 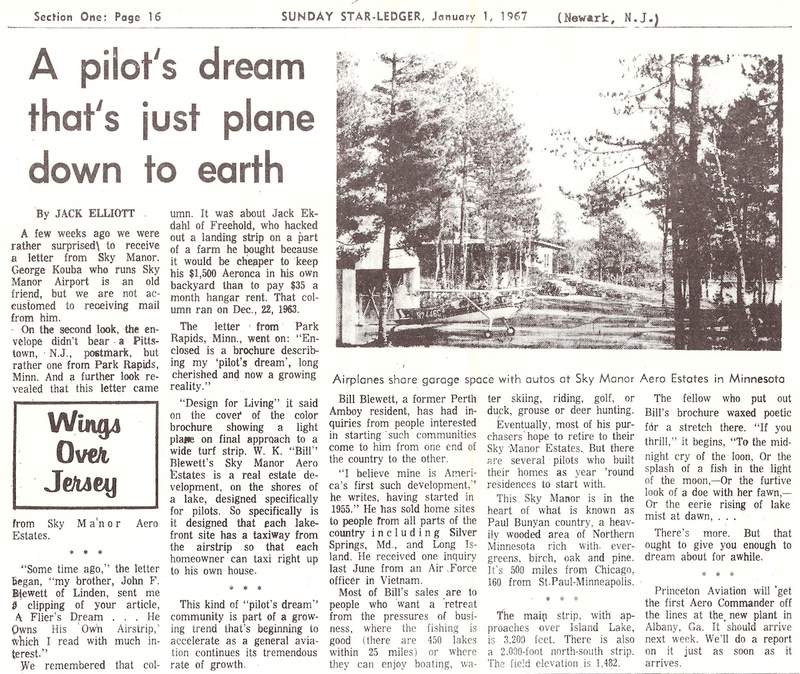 He recognized the need for a private aircraft owner community like Sky Manor where people could build their own lake homes and have immediate access to their own private airstrip. 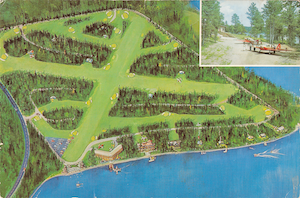 On 190 acres of wooded land he owned across the lake from Vacationaire, Blewett began building his "Design for Living" dream in 1955 and filed the original survey of Sky Manor Aero Estates with Hubbard County in August of 1960. It's no surprise that our airport elevation is 1,492 feet above MSL. 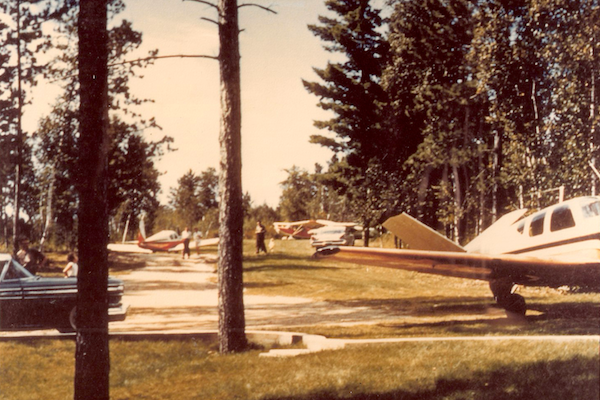 Just as America was discovered in 1492, America's first aircraft-owners community, Sky Manor MN86, was built at 1,492 feet. 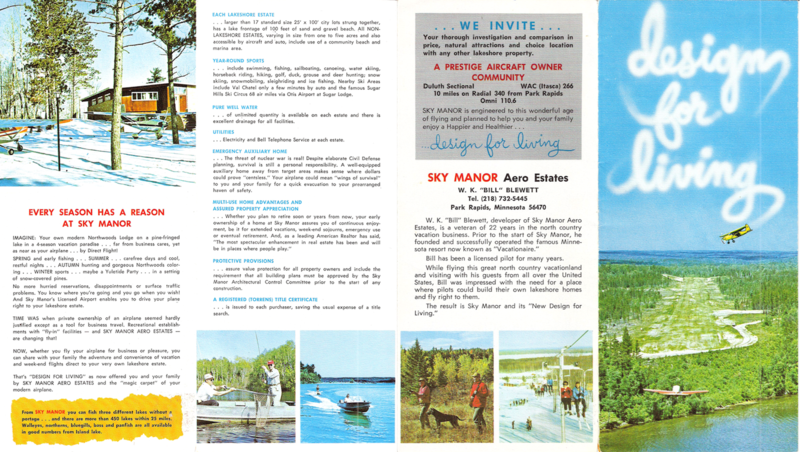 Featured in the February 1959 issue of Flying magazine,Sky Manor Aero Estates was named America's first private airpark community. As shown in the nearby postcard, Blewett envisioned Sky Manor would expand to include an 18-hole golf course, beach area, and several additional taxiways. 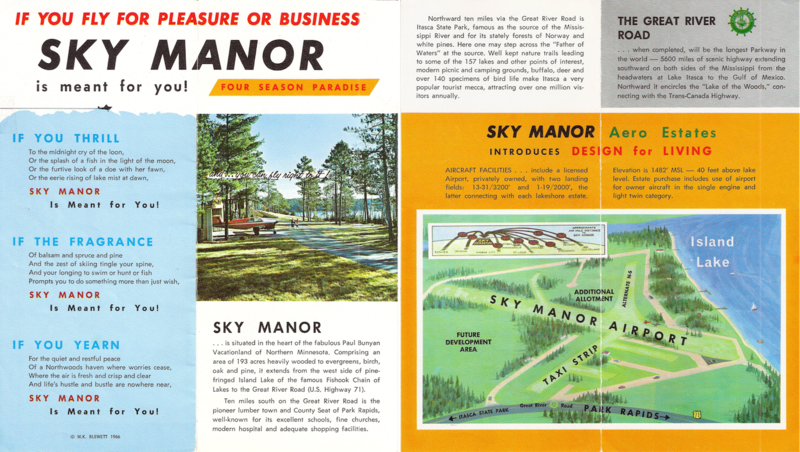 The caption on the back of the postcard reads, "Sky Manor Aero Estates. America's First Planned Aircraft Owner Community, where you taxi your plane right up to your door. 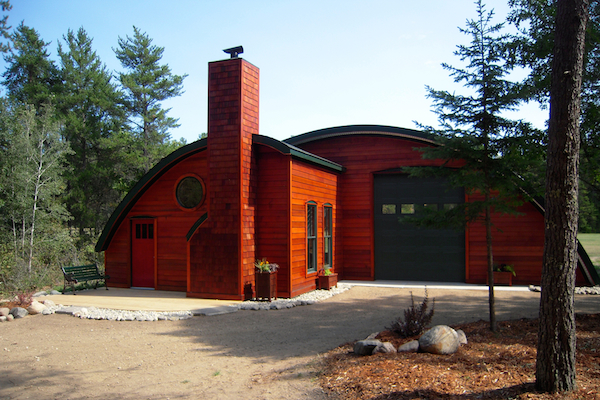 Air Age, 'Design for Living' in Northern Minnesota's four-season vacation paradise. 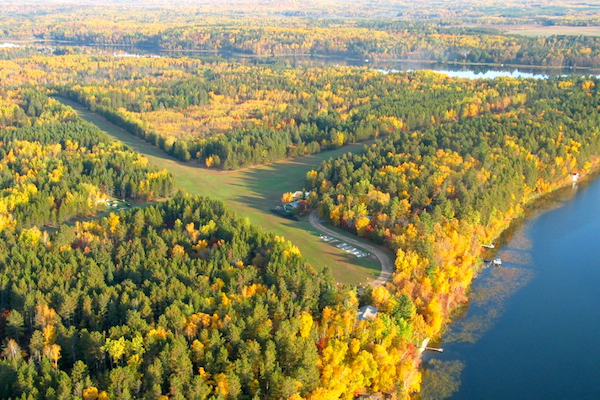 Fly-in lakeshore home sites. Expansion program includes 18 hole golf course with fly-in fairway home sites and lakeshore community beach." Within several sales brochures and flyers, developer Bill Blewett described the "Essentials of a survival retreat as provided at Sky Manor Aero Estates:"
Multi-Use Concept - Weekend sojourns, extended 4-season vacations: Year-round or retirement home: Emergency Retreat. Of course, Bill included the famous Will Rogers quote, "Buy land! They ain't making any more of the stuff." 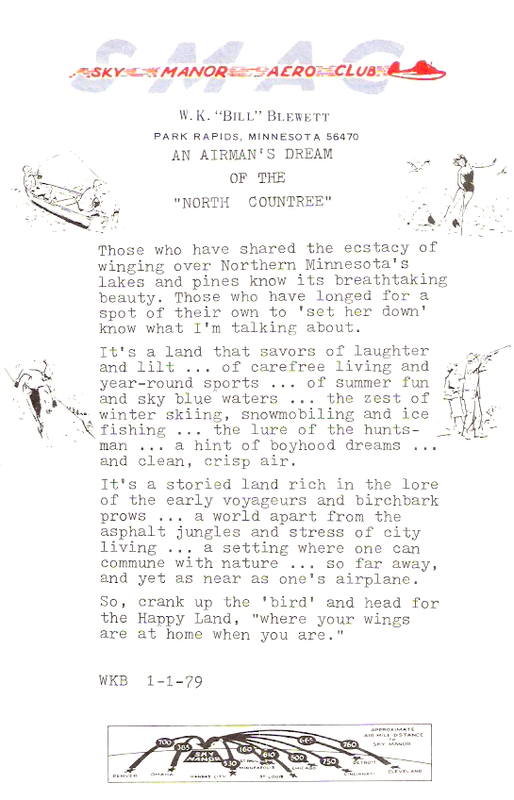 "An Airman's Dream of the 'North Country' "
Below is Bill Blewett's Poem about living the Sky Manor dream. 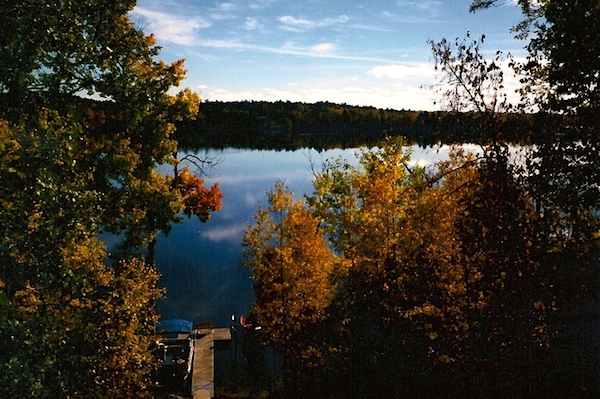 "Those who have shared the ecstasy of winging over Northern Minnesota's lakes and pines know its breathtaking beauty. Those who have longed for a spot of their own to 'set her down' know what I'm talking about. It's a land that savors of laughter and lilt ... of carefree living and year-round sports ... of summer fun and sky blue waters ... the zest of winter skiing, snowmobiling and ice fishing ... a hint of boyhood dreams ... and clean, crisp air. It's a storied land rich in the lore of early voyagers and birch-bark prows ... a world apart from the asphalt jungles and stress of city living ... a setting where one can commune with nature ... so far away, and yet as near as one's airplane. So, crank up the 'bird' and head to 'Happy Land,' where your wings are home when you are." 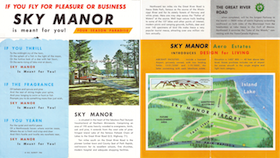 Bill Blewett designed Sky Manor to be a "Private-Commercial Airport" that meets public airport licensing safety requirements, but is only open to Sky Manor property owners and their guests. He created the Sky Manor Aero Club for the purpose of managing the private airpark and guaranteeing access in perpetuity by virtue of a 99-year renewable lease owned by the club. The club has been incorporated in the State of Minnesota since May 24, 1967. 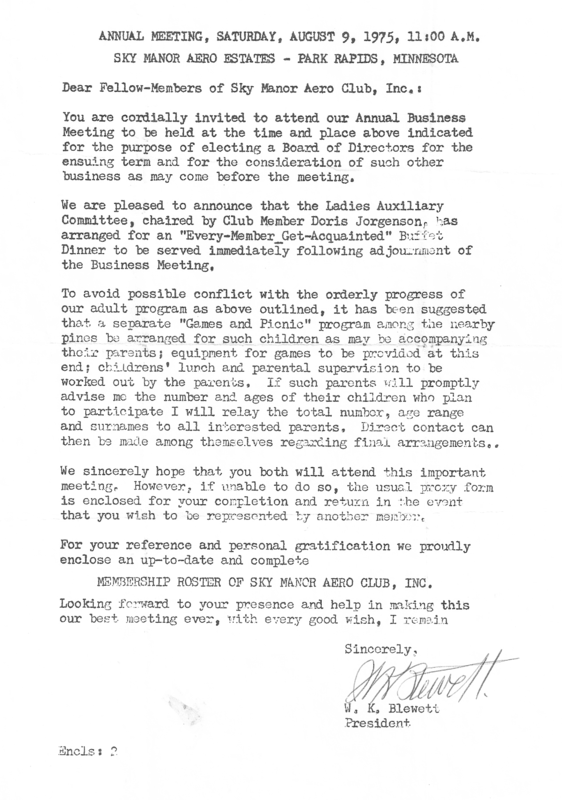 Click here to view an early invitation to the annual meeting signed by Bill Blewett. The Sky Manor Aero Club meets annually to discuss business and enjoy the traditional pot luck buffet dinner. Annual business includes the allocation of funds for runway/taxiway maintenance, the introduction and organization of new projects, and the discussion of other events and news for airman. Sky Manor Aero Club is funded through a modest annual membership fee. Runway/Taxiway maintenance is done through a combination of member volunteers and contract services. 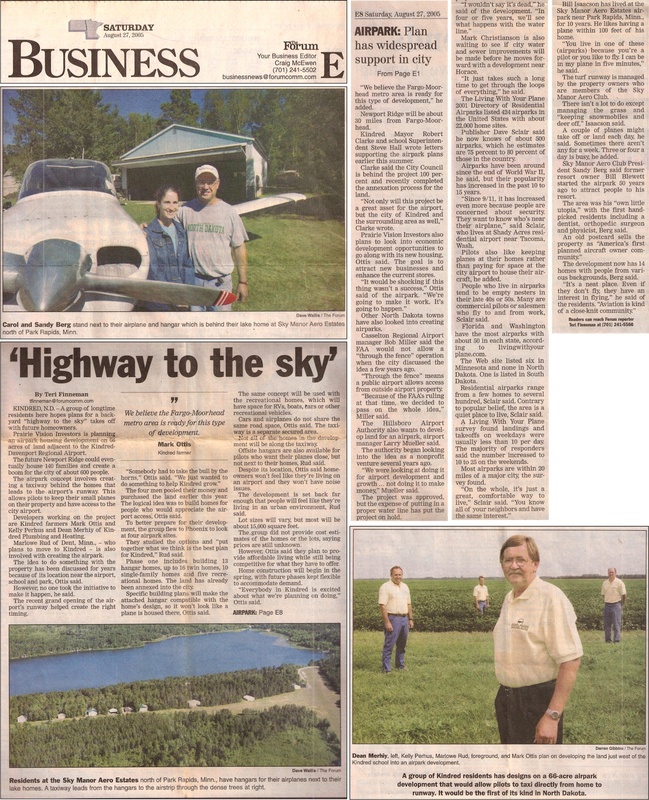 As America's first aircraft owner's community, Sky Manor Aero Estates has been featured in many aviation publications over the years. Click the links below to view the articles. 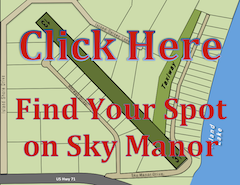 See how Sky Manor has developed over the years by reviewing the various surveys. The orignal 1960 survey included the runway and the lake lots. In 1978, the one-acre hangar lots were developed, and in 2007, the remaining property within Sky Manor was developed and wrapped into the 2007 Registered Land Survey. 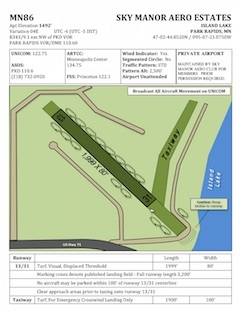 The 2014 survey further divided the three large tracts along the northern edge of the runway into five runway access lots. Where the mighty Mississippi begins, and the adventure never ends. The small town with the extra wide main street. The Restaurant Capital of the World! Meet me at the Muskie!